The first step to solving performance issues is being able to diagnose the issue. If you don’t have performance metrics and the ability to analyze them, you’re just relying on guesswork. 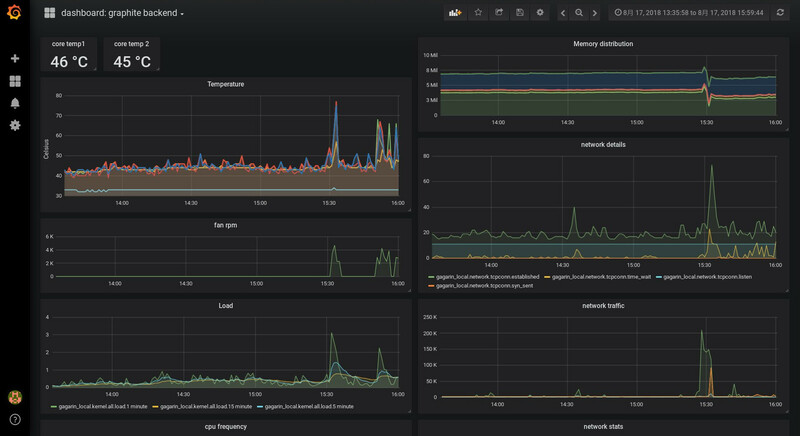 One of the popular tools for performance monitoring on Linux is Performance Co-Pilot (PCP), and we’ll show you how to get started using PCP on Red Hat Enterprise Linux to collect and analyze data to solve your performance mysteries. Availability monitoring: is a system or a service available? Performance monitoring: what are the current numbers on my systems, i.e. load or network throughput? In this post we will see how PCP can be used for performance monitoring to solve everyday issues. In a later article we will investigate monitoring of custom metrics, for example data from applications, with PCP. Why PCP and not tool XYZ? Sar has been available for ages on Red Hat Enterprise Linux for recording performance data. While simple to use, it comes with challenges like the sar archive files being tied to the sar version, so to analyze a sar archive file, you need to install the exact sar version which was used for recording. Collectl is a nice and slim Perl script which covers some use cases, but lacks the flexibility of the more advanced tools. Performance Co-Pilot (PCP) is our recommended solution to record performance data on Red Hat Enterprise Linux. Since PCP has been around for over 20 years, many Performance Metrics Domain Agents (PMDAs) have been written - these are agents for collecting performance data from various sources on a system. PCP is part of the normal Red Hat Enterprise Linux 6 and 7 repos, it comes with many tools to analyze (pmdiff etc.) and present (pmchart, pmrep and so on) recorded data. On Red Hat Enterprise Linux 7, PCP performance data is also part of sosreports. Prometheus is a quite new backend for storing metrics. Its good integration with Kubernetes brought it into OpenShift 3.10 as Tech Preview. Prometheus also comes with alerts (i.e. "warn me if load is high") and trend analysis. Netdata is also quite new, it focuses on direct visualization of performance data. PCP components are spread over several packages, allowing you to install just what you really need. Use yum search pcp to list the PCP packages. The pcp-zeroconf package will pull in some of these packages via dependencies. The pmcd daemon works as communication central. PMDA's are used by pmcd to monitor performance data (metrics). pmlogger is used to archive performance data. We additionally installed the pcp-system-tools package, it provides convenient tools to access performance data. That’s all, with these commands the system is now already monitoring performance data to directory /var/log/pcp/pmlogger! How to access the performance data? and get an idea about the metrics which PMDA is currently monitoring. This command is purely communicating with the pmcd daemon, not accessing archived data on the disk. Parameters ‘-fT’ also show help and the current value of the metric, if available. The additional ‘-a’ is instructing pminfo to use the archive file. Users can also construct views of the PCP metrics they are most interested in. For example, the atop utility was resembled using PCP metrics. Command pcp atop can be used to get a view comparable to the atop view, but using metrics from PCP. The pcp iostat command provides I/O data. to look at the atop output of the system, with the data from 10:40. Let’s imagine we get a report about an issue on a system around 10:40. We fetch the PCP archive file, and investigate. How many metrics are in this archive? We see 606 metrics for a default Red Hat Enterprise Linux 7.5 deployment, and more than thousand on Red Hat Enterprise Linux 7.6! We will need help to find out which metrics are the interesting ones to investigate. In other words, which metrics have been different around 10:40? ‘pmdiff’ may help us here. We will specify a timeframe where the system acted normal with the -S and -T parameters, and a timeframe where the issue occurred with -B and -E.
Looks like the cpu was busy at that time, also the filesystem. Let’s find out more about processes at that time. Looks like we usually have two runnable processes on the system, but at the time of the issue three were running, and disappearing after some minutes. Pmlogger is also archiving lists of all processes for us. When running ‘pminfo -T proc’, we have seen metric proc.psinfo.sname, this provides us with the runstate of all processes. Which processes were running shortly before the issue, at the issue, and afterwards? inst [7115 or "007115 /var/lib/pcp/pmdas/proc/pmdaproc"] value "R"
inst [18345 or "018345 md5sum"] value "R"
We see at all three times our PMDA running for the monitoring, and at the time of the issue additionally a process ‘md5sum’. Unfortunately we are not recording metric proc.schedstat.cpu_time in the default config, that one could have shown us that this md5sum process was the one burning most cpu time at 10:41. Pmlogger can be configured to archive this metric. We can see more details about the process with the existing PCP data, also the owner of the process and ask the user for the background of their activities. Thanks for helping with this performance issue, PCP! We have seen how easy it is to get PCP up and running on Red Hat Enterprise Linux, how to access live and archived metric data. How about monitoring custom data from your applications, temperature sensor data from a system, or SMART data from hard disks? We will investigate monitoring of custom metrics in a future article, as well as creating graphs from the collected data. This article is available in 3 localized versions: German, English and Japanese.